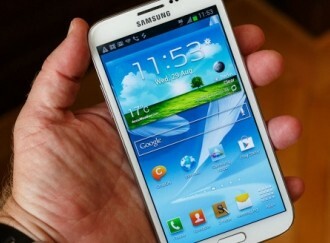 A new report claims Samsung’s Galaxy Note 2 is destined for every major wireless carrier in the US. Furthermore, the phone is expected to ship with the same quad-core processor highlighted in the global version unveiled late last month at IFA in Berlin. This is good news for Americans as flagship Android phones packing LTE chipsets usually ship with a downgraded dual-core processor instead of faster quad-core CPUs like their overseas counterparts. BriefMobile says a reputable sourced passed along a screenshot from a Verizon smartphone with model number SCH-I605. This is in addition to a similar photo posted yesterday from an AT&T-based Note 2. If you need more proof, check out this Flickr photostream showing pics reportedly snapped on the Note 2. Their source claims the Verizon phone will be identical to international models with the exception of Verizon branding plastered all over it - even on the home button, they say. Last year’s Note was an AT&T exclusive but if this latest news is to be believed, Samsung is simply looking to flood the market with the Note 2 this year. AT&T, Sprint, T-Mobile and US Cellular will all reportedly have versions of the handset available and we are hearing that an announcement isn’t far off. Each carrier will likely have their own release date, however, so device releases could be staggered over days, weeks or even months. In related news, international versions of the handset are going up for pre-order at places like Unlocked Mobiles. The phone is expected to ship in the UK on October 15 although pricing still hasn’t been confirmed by Sammy, the retailer says.